« Twenty Five Years Can Make All The Difference. I love the Olympics and I would have been beside myself if I lived as close as you did to such a historic event. One day, I really do hope to attend an Olympics ceremony. 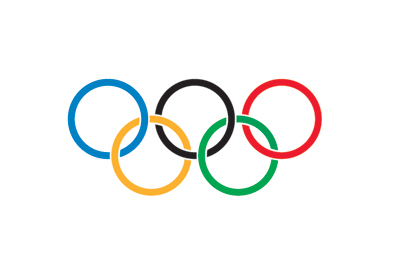 The summer Olympics, in particular, are my favorite… the swimming, the gymnastics, the beach volleyball… I am, of course, proud of my country and the astounding number of medals that our athletes were able to bring home. But most of all, I’m looking forward to watching TV tonight and not crying. I think I choked up at least once a day every single day these past few weeks. Oh, and I loved how involved the Royal family was… Prince William, Prince Harry, and the ever-adorable Kate. They looked like they were really enjoying themselves, making me an even bigger fan than I already am! I rarely watch the Olympics, but I do follow the reports in the newspaper. I was really proud of Britain’s showing in the games. For a country your size, you did extremely well, Donna. In the wake of the money and people no object Beijing games it was a great change that put the focus back on competition and the athletes. Hopefully it will push future games in the same direction, rather than throw-away ott one-upmanship. I LOVED watching the Olympics! Every night at the hotel Joe and I would catch up on the highlights or games playing at that time. I loved watching all the gymnastics, diving, swimming, and volleyball. We also loved watching the clips of competitors past, like the story of Olga Korbut. Amazing! Had fun re-watching all your highlight clips, especially Mr. Bean! Thanks, Donna! Congratulations to all of you in the UK and London, in particular! 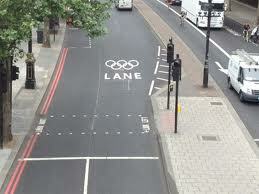 The London Olympics were magnificent in every respect and your beautiful city was resplendent. Thanks! LOL Donna! That minister Jeremy Hunt was hilarious! The bell goes flying. My husband and I got a good laugh out of that one. And so glad you shared the queen with James Bond. I had missed it. Thanks. As Patricia said, Congratulations to all of the UK for putting on a fantastic Olympics. I adore watching the Olympics ~ summer and winter. We were going to attend this year’s summer Olympics, but I’m not so good with crowds in my old age, so we stayed home and I DVR’d them instead. London is one of my favorite cities in all the world and I would’ve loved to have seen some of the events live. I can’t even imagine how thrilling it must be to live there and have that sense of pride touching everyone. Well done Britain indeed! I barely watched the Olympics this time. However, the last race I saw was one in which a British sprinter won, and it was lovely to see him cheered on so heartily in his home country. Hey, if it isn’t going to be an American holding the gold medal, I’ll vote for a Brit. Congrats on a wonderful Olympics Games! on August 16, 2012 at 00:10 | Reply sheridegrom - From the literary and legislative trenches. There’s been a lot of media attention about ‘Americas’ on-going love affair with all things British. We heard a great deal about the Royal Family re-branding themselves and their visibility at the games. The opening ceremonies were wonderful (IMO) and during the games, my husband and I continually talked about when we might be able to make a return trip to not only London but the surrounding countryside as well. I always loved it when my government sent me there to work – one of my favorite places to be stationed. Hubby always figured out a way to tag along when my assignments were short.